Back in 1979, an entrepreneurial greengrocer diversified into selling plastic packaging, which eventually became more profitable than ensuring Staffordshire residents were getting their daily portion of healthy eating. This soon set the foundation of Kenson Industrial Plastics Ltd, a company that evolved from healthy eating to packaging, and then on to the trading of plastic rods and tubes. Just a few years after the company was founded; a young machinist, Kevin Hutcheson joined the company. 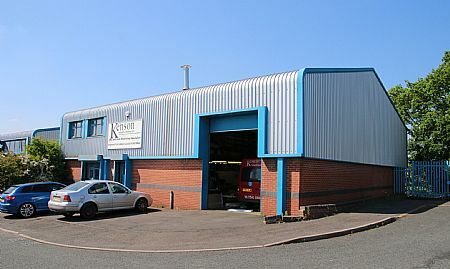 The son of the company founder and now the Managing Director, Kevin re-directed the business into machining plastics and the modern face of the Cannock based company now has a host of CNC turning centres that includes its latest acquisition, a Tornos DT26 turning centre. Kenson purchased its first CNC machine over 25 years ago to complement its capstan machines and now the business employs nine CNC machines that include HAAS, Hurco, Mazak and CMZ CNC milling and 65mm diameter capacity turning centres. 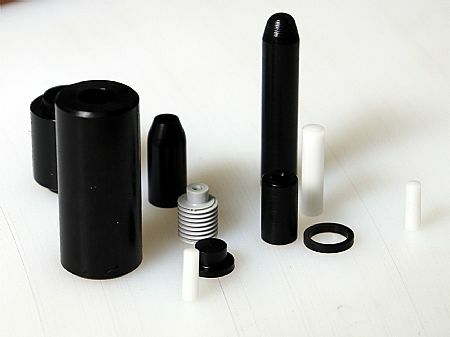 Machining spacers, rollers, washers, threaded gears, insulating pads and machine guarding from materials such as Nylon, Delrin, Ertalyte, Polyethylene, PVC, PTFE, PEEK, Torlon, Vespel and other plastics, the ISO: 9001 company produces anything from small batches up to production runs beyond 10,000-off. It is here that the Tornos DT26 has made all the difference. The four-employee company won a contract to manufacture gear motor components in batches of 10,000 per month and this instigated the search for a new turning centre. 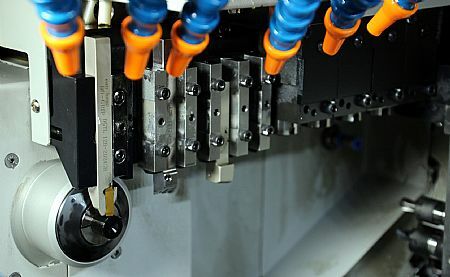 Prior to buying the Tornos, the monthly quantity was tying-up one of the company’s 65mm capacity single spindle turning centres for 3 weeks every month. The small subcontractor wanted to free-up capacity on its 65mm machine and produce parts faster to prevent any potential supply chain issues. The machine instantly slashed the cycle time of the Ertalyte TX plastic gear components from 50 to 25 seconds per part, taking more than seven days off the previous monthly production schedule. Additionally, the facility to work with and without he guidebush has reduced material consumption and with a change over time in the region of 15 minutes, the customer can rapidly switch between modes to suit each batch run. Historically, Kenson has only operated on a single 8-hour shift basis; however, the Tornos DT26 has been supplied with the 3m barfeed and the Tornos Active Chip Breaker (ACB) system for lights-out machining. The sub-spindle operation has improved precision, consistency, surface finishes and overall component quality whilst the TISIS system has simplified programming processes. However, it is a smaller feature on the DT26 that is saving considerable time for Kenson - the part-catcher. “Plastic swarf is often long and stringy and without a part-catcher on our other machines, small parts would drop into the machine sump, leaving staff in a rescue attempt to redeem parts from the swarf. The Tornos DT26 efficiently collects the parts and puts them into a bin outside the work envelope – it’s surprising how much of a difference some of these peripheral features can make to the everyday life of the machinist. We’re delighted with the Tornos, it’s been a great addition to our facility,” concludes Mr Hutcheson.